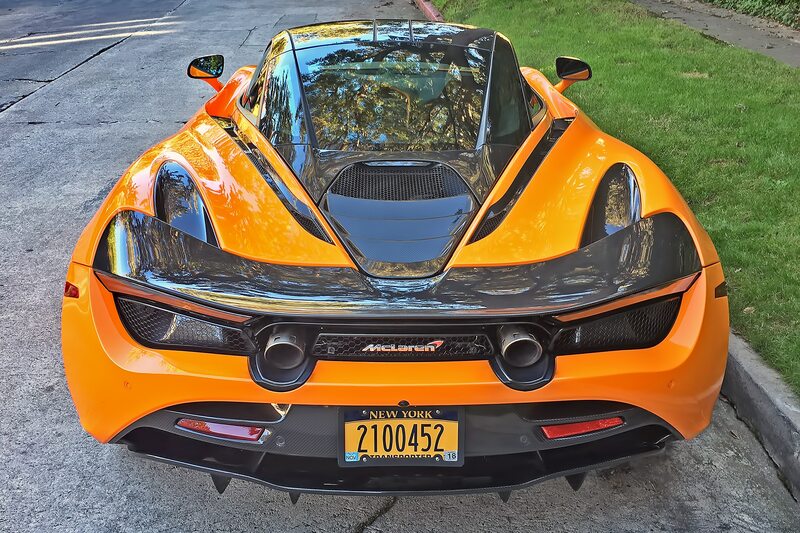 Because the “regular” McLaren 720S isn’t fast enough. 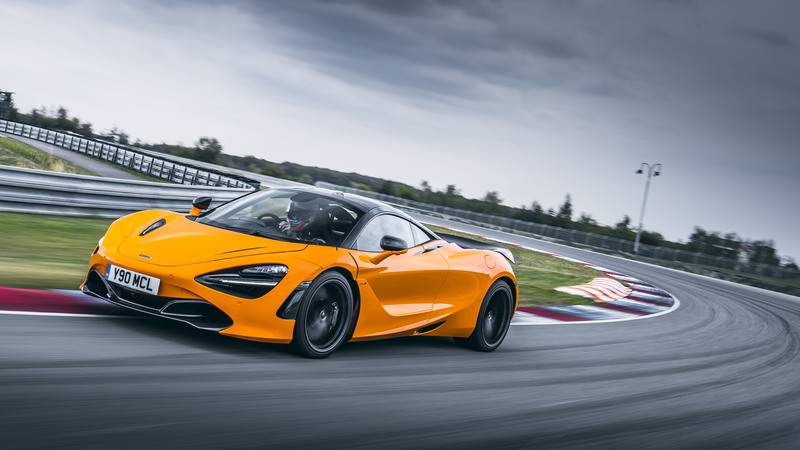 That’s the answer to the question, “Why did McLaren unveil the new-for-2019 Track Pack option?” But let’s be honest here; the shoes at our sister publication Motor Trend have launched the “regular” 720S from a standstill to 60 mph in just 2.5 seconds—which is already a slap in the face of all that is decent and holy in the world of sporting automobiles. 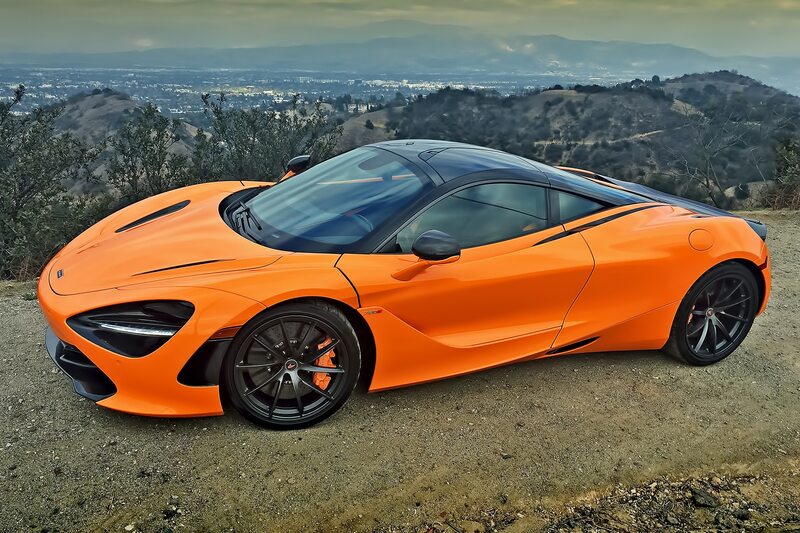 The 720S can also cover a quarter-mile in under 10 seconds. This is a shockingly, disturbingly quick car, a machine capable under full throttle of knocking your passenger cold from sheer experiential overload (and from the absolute conviction that they’re not accelerating in a vehicle, they’re being sucked into another time-space continuum). 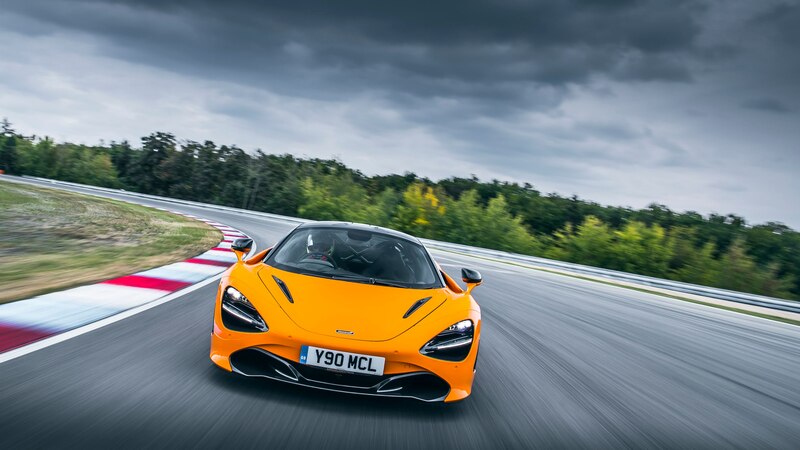 Does the 720S really need a Track Pack “enhancement”? Why, yes it does. And for the simple reasons that faster and purer are better. 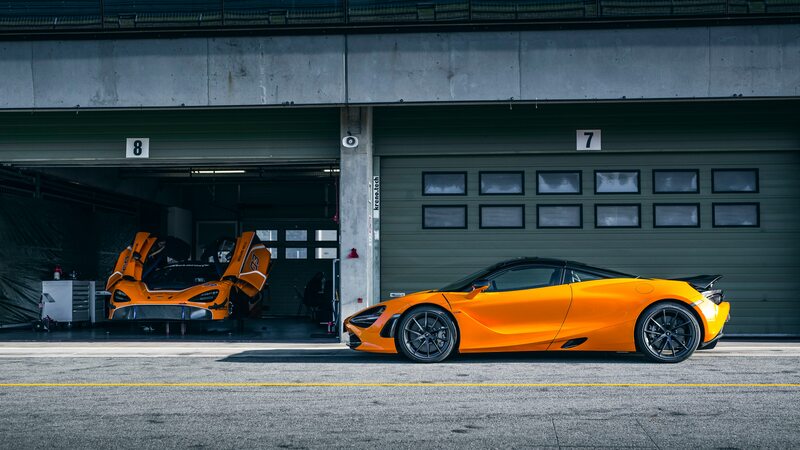 That, plus the fact that your well-heeled buddy probably doesn’t have the Track Pack on his 720S. So . . . you win. 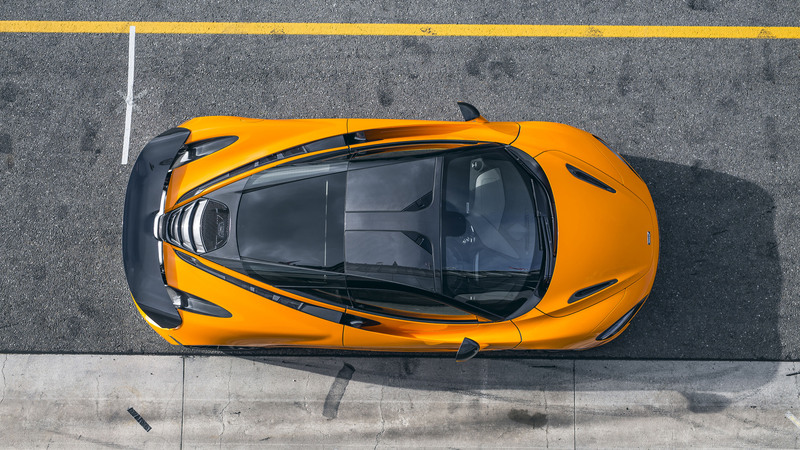 The Track Pack takes the already minimalist, mission-focused (and 2018 Automobile Magazine All-Star) 720S and makes it even more of both. Weight is reduced by a significant 53 pounds. 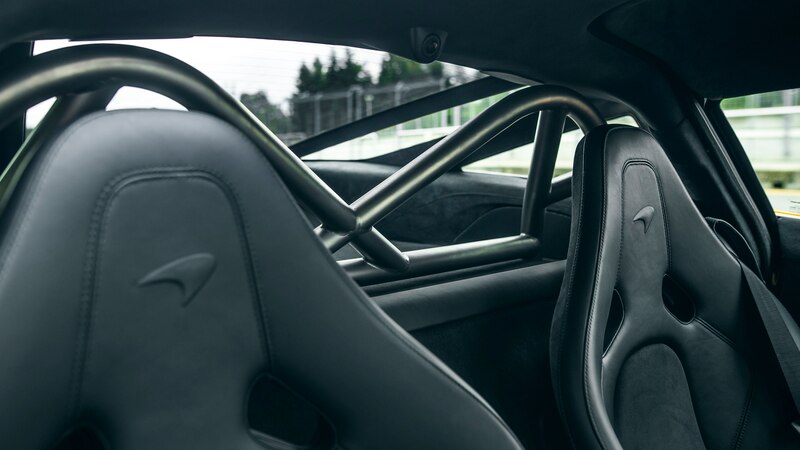 Carbon-fiber racing seats are standard in either of two narrow sizes: Touring (you’re overweight by three to five pounds max) or Regular (only string-bean Formula 1 types need apply). 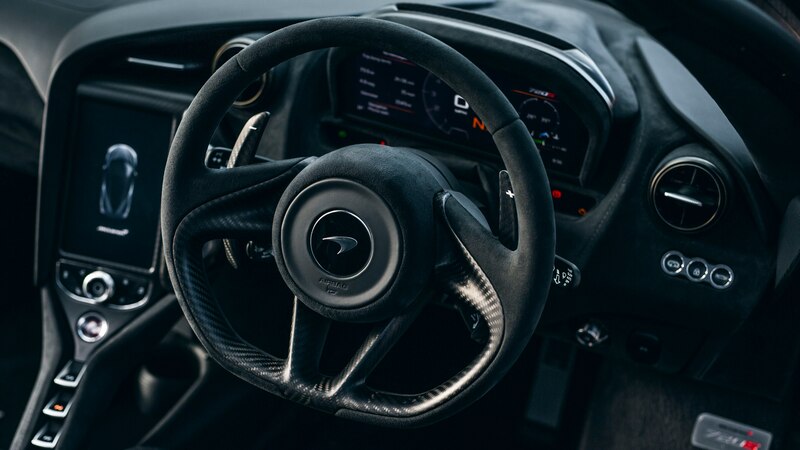 Also on board are super-lightweight 10-spoke forged wheels, a sport exhaust, a gloss-finish carbon-fiber active rear spoiler, and, inside, carbon-fiber shift paddles and an Alcantara-wrapped steering wheel. 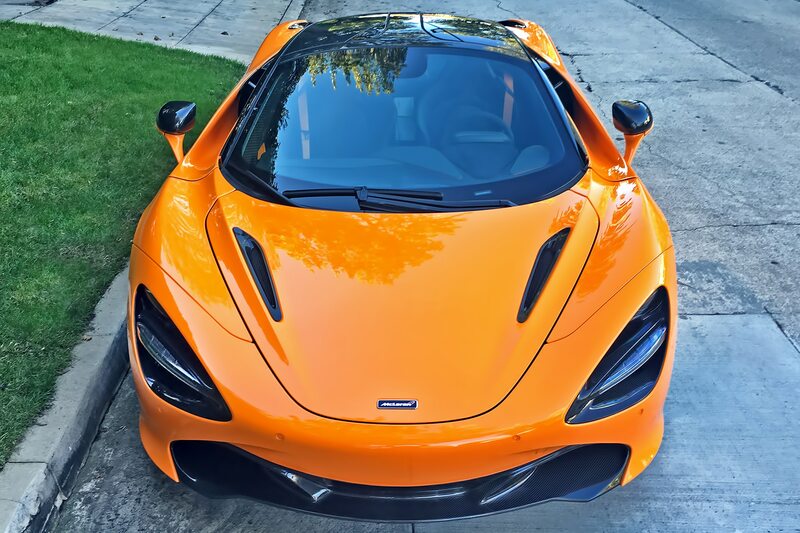 The Track Pack option adds $28,000 to the cost of the 720S Performance on which it is based, bringing the total base sticker to $332,770. Believe it or not, that’s a helluva deal! My test car was a 2018 model configured to Track Pack specifications prior to the actual package being made available for 2019—so every piece had to be added as an individual option. Thus, my example started at $288,845, added the Performance option ($11,430 for hood intakes, rear fender intakes, door mirrors in carbon fiber, etc. ), then added each piece necessary for Track Pack spec—plus a few other extras—shooting the total to $376,465. I hope you realize now that $332,770 is a steal. 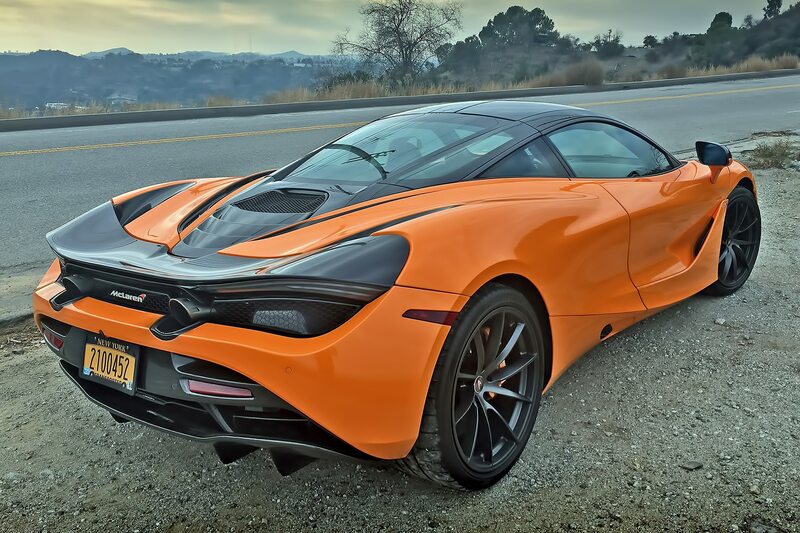 However it came to life, my Track Pack car proved to be a rifle bullet in a McLaren Orange tuxedo. 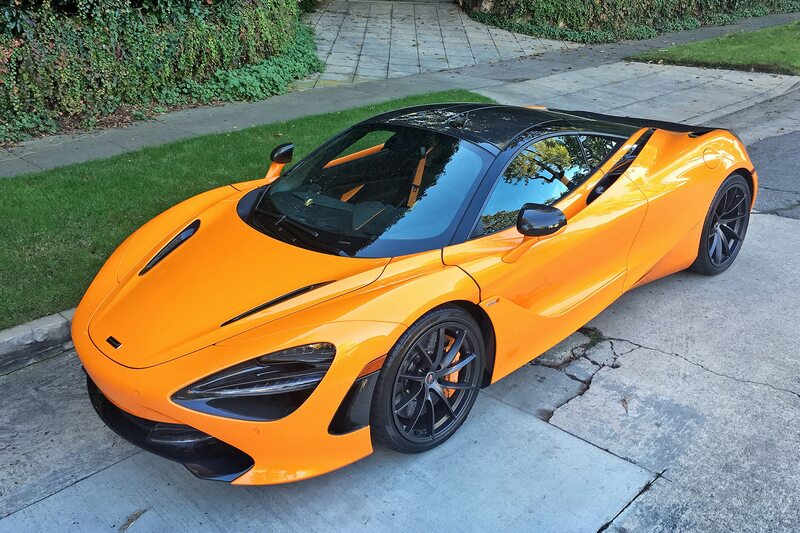 I honestly don’t think a Formula 1 race car could accelerate to 60 mph much quicker than this 720S. Press down hard on the gas and the McLaren just disappears. Except you’re still inside it. It’s unreal, mind-blowing, addictive. It’s also, on the car’s part, completely effortless. 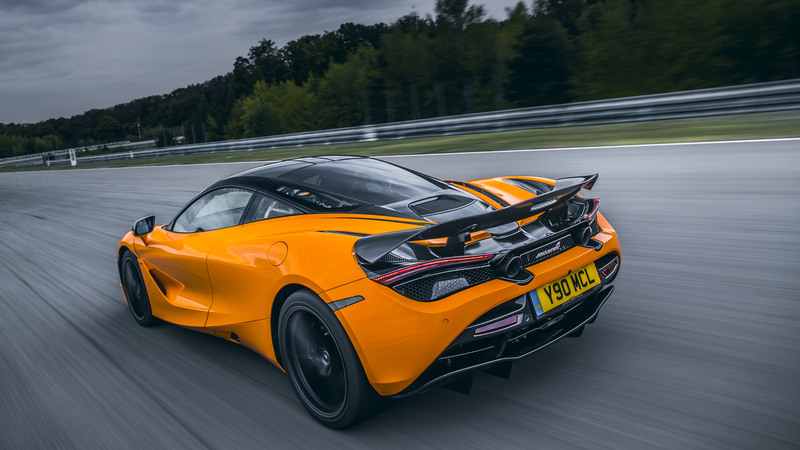 The rear-drive 720S simply bolts away from a standstill as if it weighs nothing. And for a road going automobile, just 3,150 pounds is almost that. Even more boggling is that aerodynamic drag seems to have no effect on your progress. 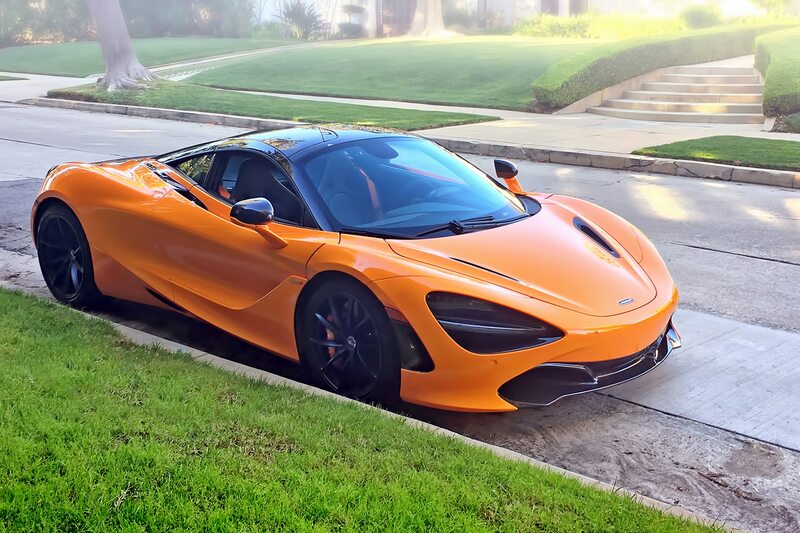 Even well past 100 mph, the 720S Track Pack is pulling like it’s late for the “Win a Free Van Gogh!” raffle at the Getty Museum. I’m hard-pressed to think of another test car that accelerates—and continues to accelerate—so fiercely. 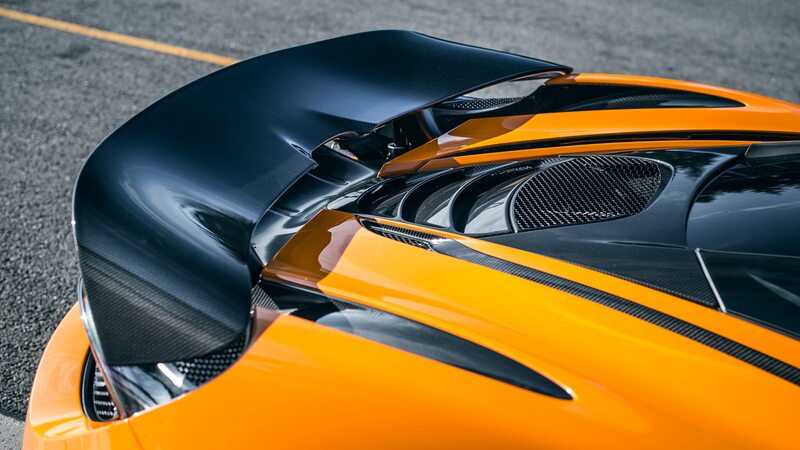 There’s zero reason to doubt McLaren’s claimed top end of 212 mph. My car had the, ahem, wider Touring race seats, and they fit like a latex glove. Curiously, I winced when I first slid down into the seat’s iron grip, but quickly the seat felt comfortable and pleasingly supportive. Never did I exit the cockpit feeling sore or beat up—probably because I wasn’t moving in the seat at all, no matter the cornering forces. The rest of the cockpit wears with equally tailored snugness. It’s not cramped, mind you, it’s just that every control and switch is within easy grip, the steering wheel and shift paddles lie right where you want them, and the view to the front is simply spectacular, as if there were no windshield at all and you were sitting in an open-cockpit single-seater. You’re the only one who doesn’t get to see the car while you’re driving it. Everyone else—on the outside—is waving or reaching for their smartphone camera. 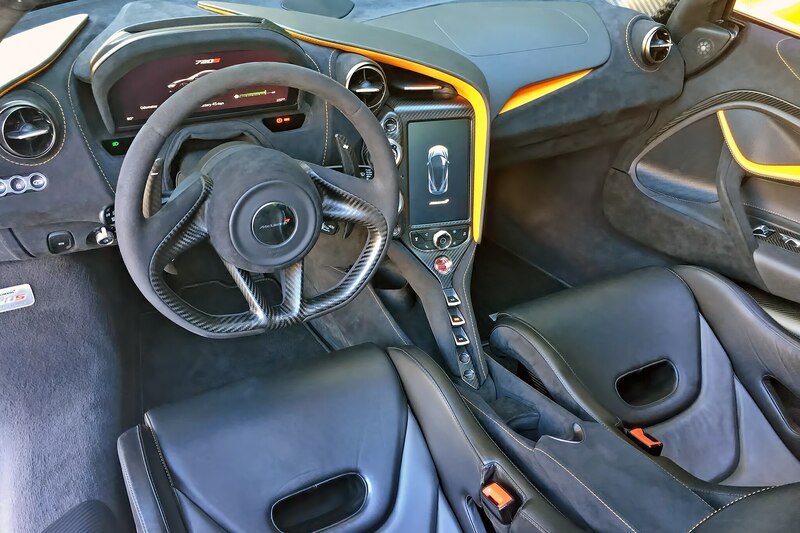 Few sporting machines could ever hope to deliver the combination of speed, security, and sensations that the 720S does. 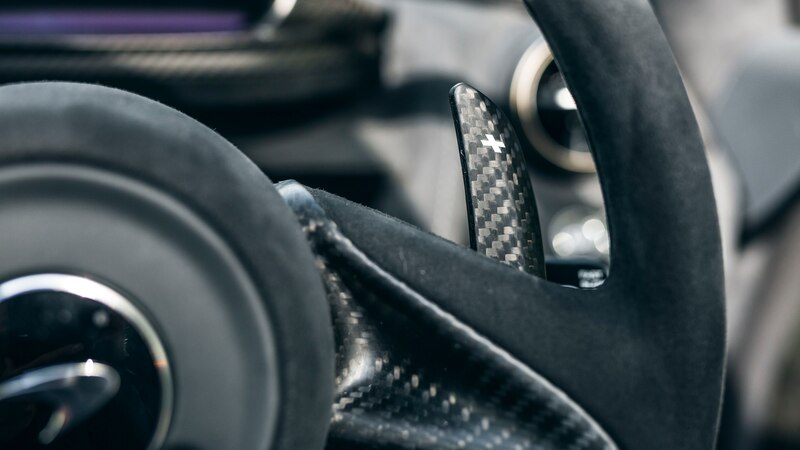 The car operates exclusively at genius level, cornering at staggering g loads, steering with an aliveness that makes your fingertips dance for joy, paddle-shifting up or down without a nanosecond of hesitation, and riding with a smoothness that completely belies the grip and handling prowess on tap. 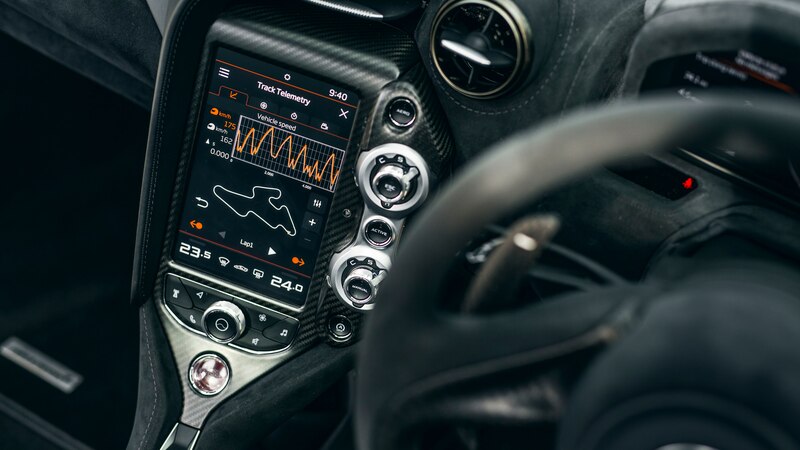 If anything, the Track Pack option only enhances these qualities, the racing seat holding you firmly in place while you work, the subtraction of 53 pounds enhancing the surgical exactitude of every input, the sport exhaust howling with an unfiltered volume and immediacy you simply don’t normally expect from a turbocharged car. Frankly, no road drive can do this car justice. The limits are so high—and you can tell without even going there—it’s impossible to approach them on a public byway. 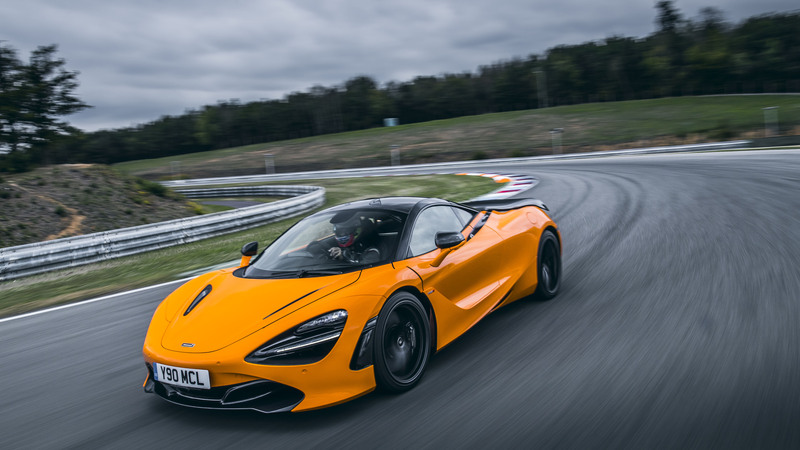 That’s not a criticism, though; even at “only” seven- or eight-tenths, this 720S is about the closet replication of a full-on racing car that you can actually buy in a showroom and drive on the street, with the possible exception of its own limited-edition, far pricier Senna sibling, of course. 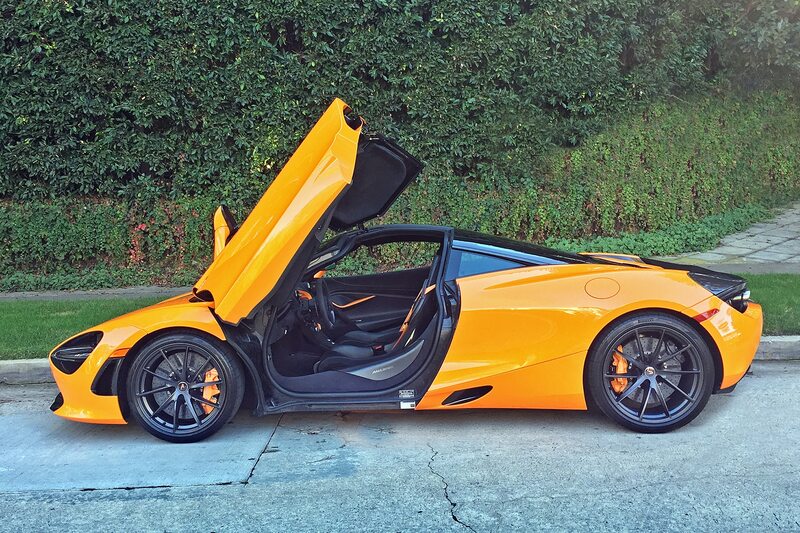 You’re left breathless by its exactitude and performance and the sheer awe of piloting this stunning machine hard.